Belinda was raised by professional jazz musicians. After a childhood of lessons, choirs, jazz camps and gigs, Belinda settled on jazz voice and bass as her main mode of musical study for over 20 years, touring the world and playing with seasoned pros, releasing self-produced jazz albums of original music, and using her jazz background to be a versatile side-man in bands of multiple genres. Belinda continues to uphold her jazz roots while exploring other musical cultures . For more about Belinda's jazz career, scroll down. Belinda's first exposures to music occurred five nights a week while she was captive in her jazz-pianist-mother's womb. With birth, the nightly exposure continued while she napped under the piano in a car seat. 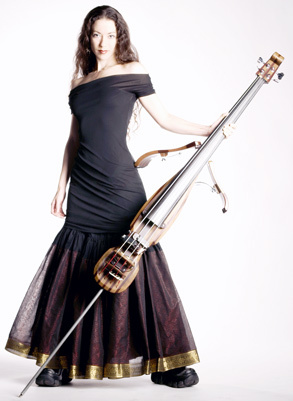 After a childhood of violin lessons, harp lessons, orchestras and choirs, music became her choice when she fell in love with the upright bass at age sixteen. In high school she traveled as a bass player (on scholarship) to Australia with the Monterey Jazz Festival Honor Band, and in college she played and traveled with the UC Berkeley Wednesday Band. Singing professionally didn't occur to her until years later when she was playing the bass at the Jazz School in Berkeley. There Belinda studied with Mark Levine, Ledisi, Raz Kennedy, Stephanie Bruce, Brian Pardo, Glenn Richman, and Frank Martin. 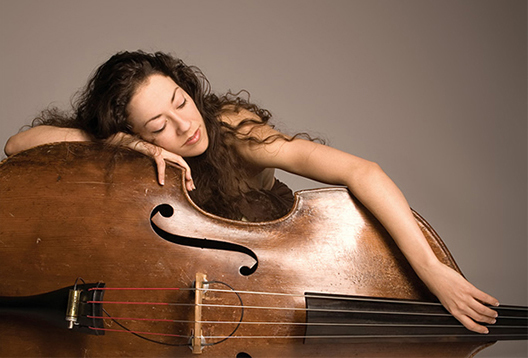 The Jazzschool is also where she met David Friesen during a workshop and decided to go to Portland for bass lessons (after a quick trip to Cuba to study music and dance at the University of Havana). When asked what she valued most from her lessons with Friesen, she replied, "He was the first person who encouraged me to write songs." Her debut album was launched in March 2005. Entitled "Underwood Uncurling," it features David Friesen, Airto Moreira, John Gross, Dan Balmer, Clay Giberson, Chad Wagner, Jason Levis, and Pink Martini members Phil Baker and Martin Zarzar. She sings (and plays some bass too) on the album, which is comprised of six original jazz compositions and six jazz standards. 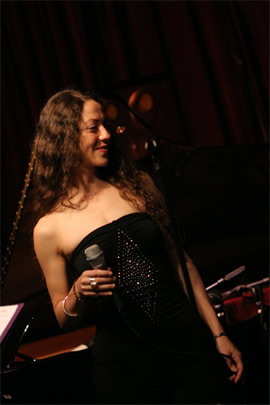 In 2006, Belinda started performing and touring with New York jazz pianist Benny Green as her guest, and in 2008, she featured him on her latest jazz release, "Greenspace." Both national and international jazz audiences have enjoyed the chemistry of this dynamic musical team, a combination of Green's jazz lineage and Underwood's emotive story-telling. The album Greenspace shows a new sophistication in Belinda's songwriting while paying homage to her jazz roots, evidenced by her choice and interpretation of lovely forgotten jazz standards. Grammy-nominated Nancy King appears on several tracks as well, and the rhythm section is rounded out by Pink Martini members Phil Baker and Martin Zarzar. 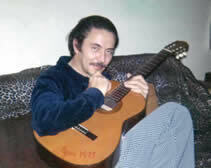 The last several years, Belinda has been making trips to Egypt to study with Dr. Alfred Gamil, a head professor at the Arab Music Institute in Cairo. The richness of Middle Eastern music has added new textures and colors to her songwriting as well as broadened the musical circles in which she performs. Between tours, Belinda plays and sings around Portland with exquisite jazz musicians as well as Mid Eastern, Tango and Gypsy-influenced bands. She also plays Bluegrass, Country, Rock and Folk, both as a soloist and with duos/bands. Belinda's newest jazz album featuring Benny Green, Nancy King, Pink Martini members Phil Baker and Martin Zarzar and more....includes originals and lovely forgotten standards. Underwood Uncurling is Belinda's debut jazz album. With lush vocals and dreamy originals, Uncurling showcases John Gross, Dan Balmer, David Friesen, Airto Moreira, Clay Giberson, Phil Baker, Martin Zarzar, Chad Wagner, and Jason Levis.